you better click on HERE to read now! 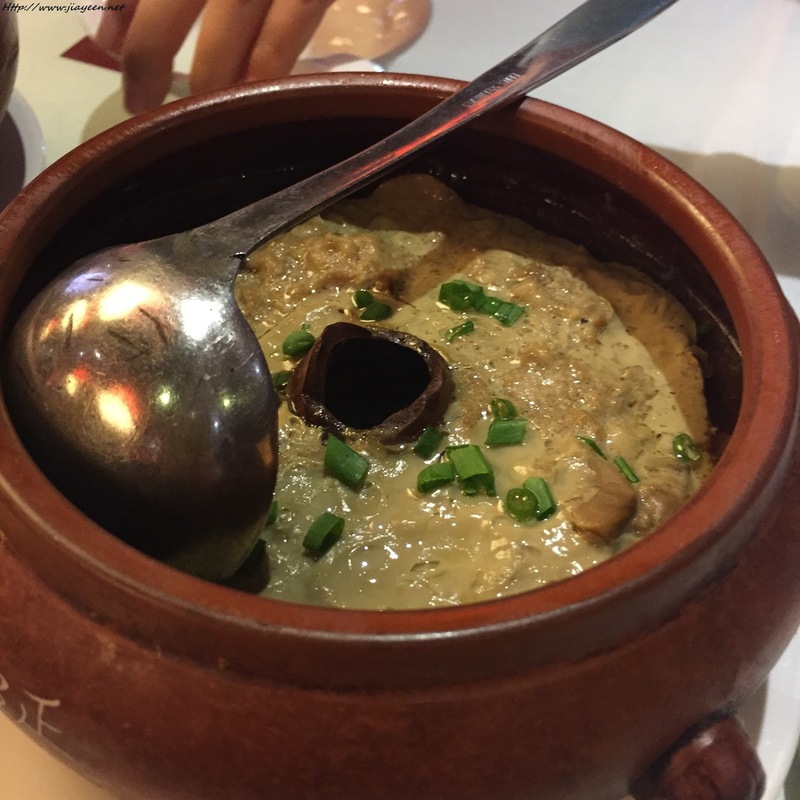 This post is to continue the previous post by introducing "What to eat in Kunming"! You will get to see this a lot in Kunming. Chinese really love anything braised or pickled. Alright.......you might tell me "Hey! Fruit is not supposed to be here!" Come on! This is awesome! Crispy, looks like a mini apple and sweeeeeeet juicy fruit! 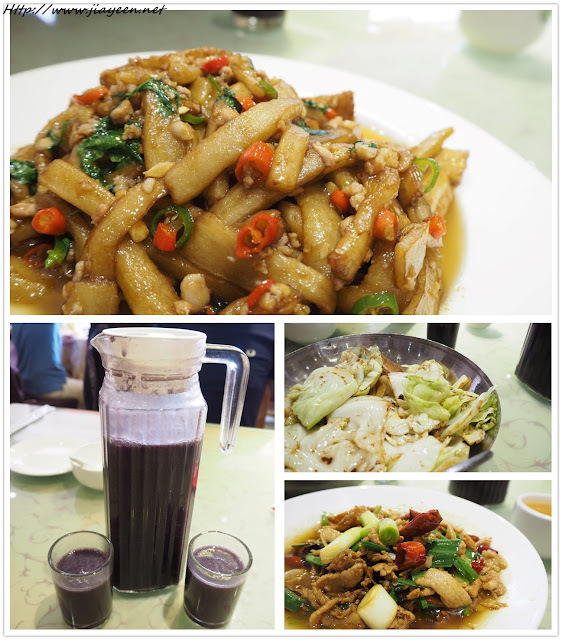 I know Kunming is very famous of this food item. Refer to HERE "7. 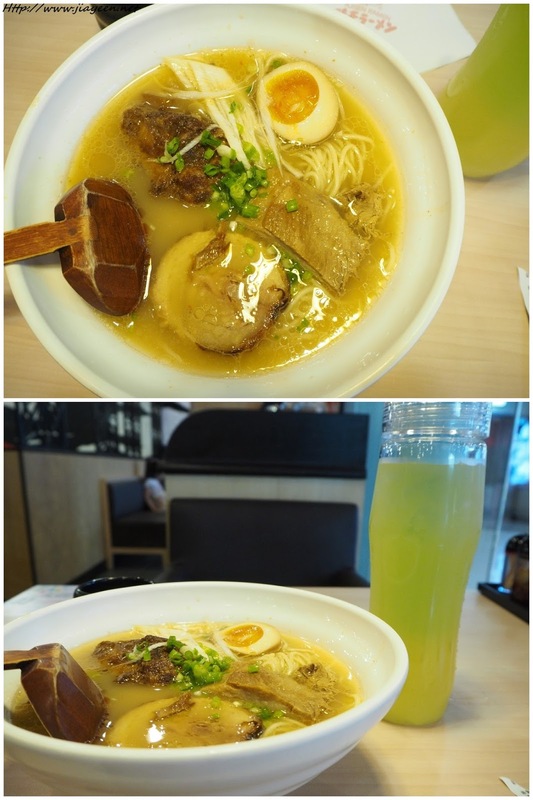 金马碧鸡坊 Jinma Biji Fang" as you can find places to enjoy a hot bowl of cross-the-bridge rice noodle here! This is my usual breakfast spot, named "云阿姨Aunt Yun". 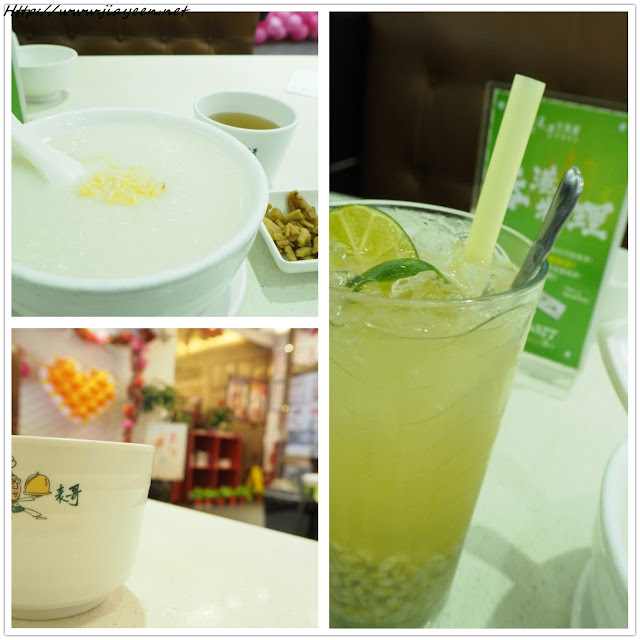 The Green Bean Congee is really smooth and good! Not too sweeeeeeet as well! Trust me, everywhere in Kunming is food! You'll get to see lots of food stalls everywhere! There are a lot of HK Char Chan Teng in Kunming. If you are bored of Kunming's local food, you may opt for plain porridge with scallop. OOps! This is definitely not a food item but I take this whenever I feel uneasy, like going to fall sick and etc. Where to find? Any supermarkets or convenient stores will do. This is yummy with their specialty chili flakes! You are able to find it at anywhere, trust me! Some said, wherever you go, whichever countries, must try their local McD outlets! Different countries have their own McD food items! This is the 0% Oil added Grilled Chicken drumstick burger. A LOT YUMMIER than Malaysia's McD. It was written as "TAIWANESE", therefore I assumed it was influenced by the Taiwanese Egg wrap. It is actually quite yummy with lots of veggies and other ingredients in it! You can find this anywhere! 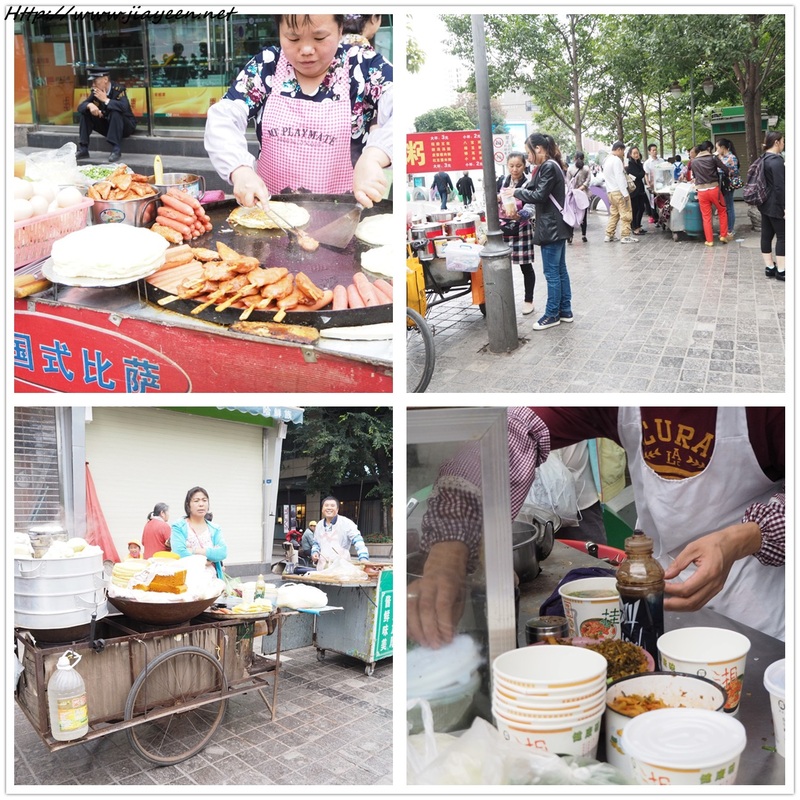 Street food is everywhere in Kunming! When you are in China, must enjoy their freshly squeezed fruit juices. When you are in Kunming, remember to try their Pu-er tea products. This small shop located near Green lake. Easily spotted around Green lake. If you have mild lactose intolerance, you may try this. First few trials were alright but after that....my body couldn't take it anymore. This is great! With peanuts, soya beancurd (non-sweetened) and preserved vegetables! Awesome food which you are able to find it anywhere! Paste made from real flower petals makes it extra yummier as the aroma is pure and very aromatic. First bite and I fell in love. 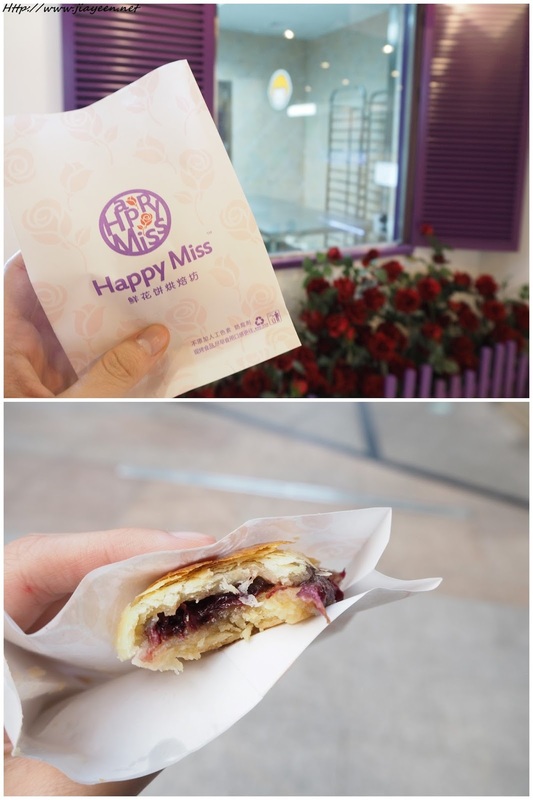 There are varieties for this biscuit as flowers in Kunming is one of their specialties. I personally love Rose paste. Where to find? This shop is located at LG floor of Shun Cheng Shopping Mall in Kunming town city area. Why I chose this shop? Their products are not too sweet and the aroma of the biscuits is really good. They have the authentic and really good food here. Especially their Black glutinous rice drink. I couldn't stop drinking it. Yes, the name of the restaurant is...RED BEAN and yes, they have quite a number of dishes with red bean but we didn't try on their red bean dishes. 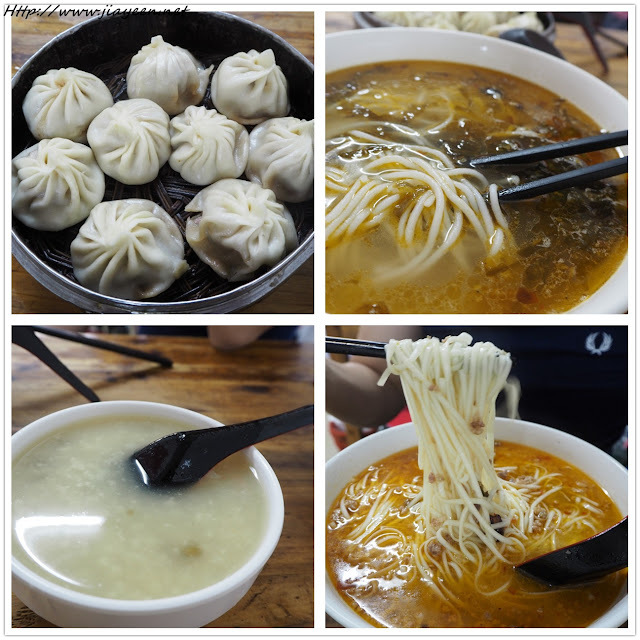 In case you want to try something else in Kunming, you may opt for dumplings. Not hard to be found in Kunming. Above is a bowl of Rice noodle with pork leg. Below is a bowl of dry version of Er Si. Yummy! Rated high on China website! Take note of this signage. Their most common side dish would be pickled seaweed. Be aware of the spiciness! Just buy some snacks with flowers of you can buy 18-in-1 kind of snack box. This is a little oily. I personally don't like it so much. It was just alright to me. 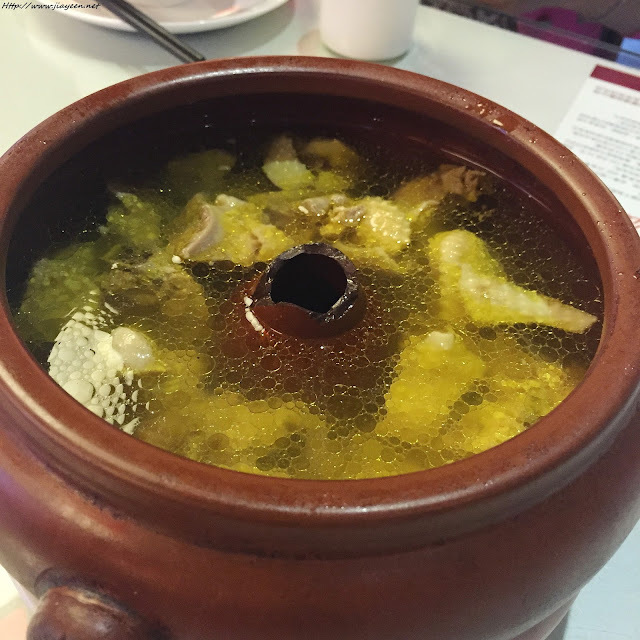 I tried it because it's one of the must-try food items in Kunming. What is it? It's a wrap with local seasonings, like their special chili powder and sauce. It is easy to find fresh soy milk in China. Before I made this purchase, I thought it is a savoury food item but no, it is sweeeeeet and sour. To me, this is just another typical steamed minced meat. Nothing to shout about this. It is alright but a little too oily to my liking. I still think Rice Noodle is the best food in Kunming! In case you missed my previous post on "PLACES TO GO IN KUNMING", click HERE! Stay tuned for the last post on "TIPS TO TRAVEL IN KUNMING"!!!! !